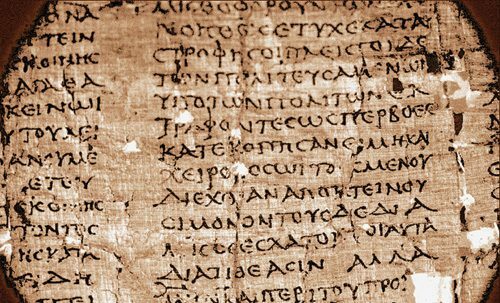 Next tim e you visit the Hinckley Center at BYU, peer into the past at the visitors center display “Lighting the Windows of Antiquity,” which highlights the pioneering work of BYU’s Ancient Textual Imaging Group (ATIG). Thanks to ATIG’s world-renowned application of multispectral imaging, ancient texts invisible to the naked eye have emerged under infrared light and been digitally imaged—including 1,600 of the Herculaneum Papyri. Buried in volcanic rock—courtesy of Mt. Vesuvius’ eruption in A.D. 79—and then mistaken for coal, the carbonized papyri unearthed in the ruins of Herculaneum are being read for the first time in 2,000 years. Amidst photos of other ATIG projects, video clips from BYU’s documentary Out of the Ashes: Recovering the Lost Library of Herculaneum enrich the display with footage of the partially excavated Villa of the Papyri, where voices of antiquity speak from the dust. Come listen.